Here in south Louisiana, your air conditioner is without question one of the most important pieces of equipment in your home. If your air conditioner system is giving you problems and you’re not sure if it would be best to keep repairing it or consider a replacement, then it is time to check out the Trane TruComfort System. Benfatti Air Conditioning & Heating is a Trane Comfort Specialist providing air conditioning & heating design & installation throughout our service area including Slidell, Mandeville, Madisonville, Covington, Metro New Orleans & Metairie. We have been serving the Greater New Orleans area & the Northshore for over 25 years, proving our design and installation services to customers throughout the area. Our process starts by offering you a free consultation which includes a written proposal to help you determine the best air conditioning or heating system for you, your home and your family ensuring you understand your proposal and potential energy savings. Benfatti is proud to have earned the designation of Trane Comfort Specialist. The TruComfort System by Trane uses variable speeds technology in order to keep your home at a comfortable temperature level without overworking your air conditioner. The system also helps reduce your home’s humidity level as it keeps the air circulating more consistently than traditional air conditioners. 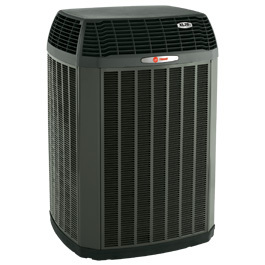 The reliable Trane brand ensures that your TruComfort System will be working for years to come. The TruComfort System by Trane offers the latest variable speed technology to allow greater consistency in room temperatures. The system reduces its overall output capacity by extending its run times so that the air in your home never dips or spikes too drastically. Longer run times and lower speeds provide your home the comfortable oasis that you aim for all while lowering energy costs. The variable speed technology prevents humidity by reducing the overall moisture in the air. The lower output speeds and extended run times also, coincidentally, help reduce your overall energy costs. This system is so efficient that it never varies more than half a degree from the temperature that you set for your home! The system is also designed to make minimal noise during operation, only barely peaking above the noise level of the quiet hum of your refrigerator. Your overall comfort as well as energy efficiency is improved simply by installing the Trane TruComfort System into your home. The TruComfort System is designed with element resistant materials such as durable polycarbonate and rustproof metal that won’t crack, corrode, rust or warp. The Compressor Sound Insulator reduces the operating sound of the unit so that your home environment is not compromised by the sounds of the air conditioner. All-aluminum coils are made with the special Spine Fin design so that enhanced airflow and heat transfer are possible without the risk of corrosion and leaks. The simplified two-wire connection also makes this unit easy to install, making same-day installation a convenient possibility for many homeowners. 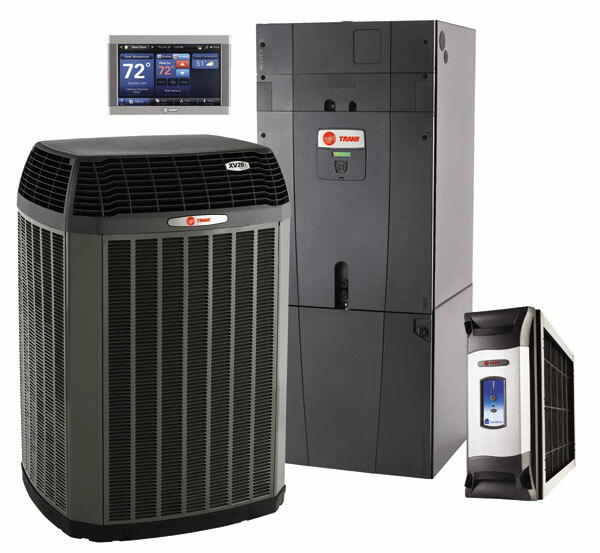 Trane is a leader in the industry and as such provides solid warranties on its equipment. The Trane TruComfort system offers a Registered Limited Warranty which provides a 12 year limited warranty on the compressor, a 10 year limited warranty on the outdoor coil and a 10 year limited warranty on the internal function parts. Our Trane dealers have an extensive understanding of not only the parts of our own equipment but of the entire industry, making a Trane investment an investment in service and quality. 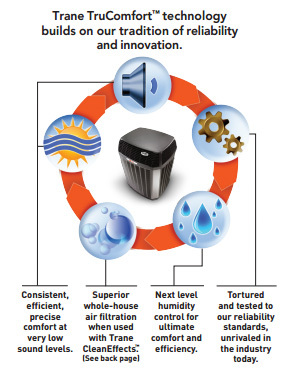 If you would like more information on the Trane TruComfort system please contact us today. Benfatti Air Conditioning and Heating provides service, maintenance plans, and new AC installations throughout metro New Orleans & Metairie including Mandeville, Madisonville, Covington & Slidell. Call us today for a free estimate!